This adaptation of the classic 1963 children's book concerns a restless little boy, Max, who is banished to his room for prancing about dressed like a wolf. He eventually sneaks out into a world created by his own imagination, which is populated by massive furry beasts who make him the king of their world. 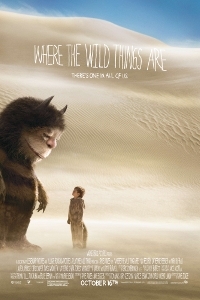 The film tells the story of Max, a rambunctious and sensitive boy who feels misunderstood at home and escapes to where the Wild Things are. Max lands on an island where he meets mysterious and strange creatures whose emotions are as wild and unpredictible as their actions. The Wild Things desperately long for a leader to guide them, just as Max longs for a kingdom to rule. When Max is crowned king, he promises to create a place where everyone will be happy. Max soon finds, though, that ruling his kingdom is not so easy and his relationships there prove to be more complicated than he originally thought.